When you were a kid do you remember how tempting it was to touch anything that had a sign on it that read: Don’t touch! Wet paint! I was raised with five brothers and I always remember that my mom would go to do the wash and start asking them where they had been to get paint all over their clothes. 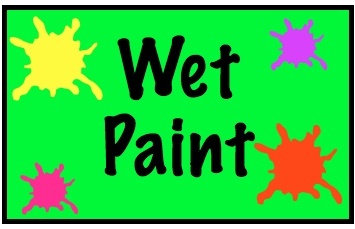 Just like paint is very tempting for kids, as adults, we each have areas in our life that is tempting. We all need God in our life to lead us out of life’s tough spots in our marriage. Praying this prayer is confessing that God is your leader including in your marriage. This is where you and I tell God that we have felt the hurt of destruction from sin in our lives. We are telling God that we don’t want to go there again in our marriage so we need him to lead us in the right direction. Life is a test of choices. When God designed us in his image, he made us higher than the angels. We have the freedom as moral creatures to make our own choices and decisions but the angels do not. Are you asking God not to let you get off track in your marriage from where God is leading you? It is like a wife who navigates her husband while he is driving so he doesn’t make a wrong turn. This is exactly what the devil does in our marriage! He has us blaming each other and chasing our tails. Many times we blame God for not helping us with our marriage but we have choices to make and continue to make bad choices. God will never tempt us. NEVER!! Awwww! We are drawn away by our own lust!! Satan tempts us and sets traps for us. The evil one knows which buttons to push to get you to react. He entices us with the world: The lust of the flesh, the lust of the eyes and the pride of life. Let Jesus be your guide. Get off the round about!